Guildford-based developer Supermassive Games may be going multiformat with Until Dawn’s spiritual successor The Dark Pictures Anthology, but its relationship with Sony is still as strong as ever. Man of Medan will launch next year on the PlayStation 4, but we should expect more PlayStation exclusives from the studio in the future. While there’s been talk of an Until Dawn sequel, we think that’s highly unlikely considering its new slate of survival horror titles will attempt to tick that box. Instead, we’re expecting more experimental titles from the company, such as Tumble VR and Hidden Agenda. Hopefully more is revealed in the near future. Hopefully one of them is a sequel to Until Dawn. Such a great and underrated game! I'd like a Rush of Blood PSVR sequel, preferably with graphics similar to Cuphead. Playing Cuphead as an on rails FPS similar to Starfox would be pretty wild. Actually it might be similar to the Sin and Punishment games but I'll take that too. Is Star Wars Arcade in VR yet? Gotta love that MIDI music. I’m probably alone on this one, but I loved ‘The Inpatient’, more from that would be great! 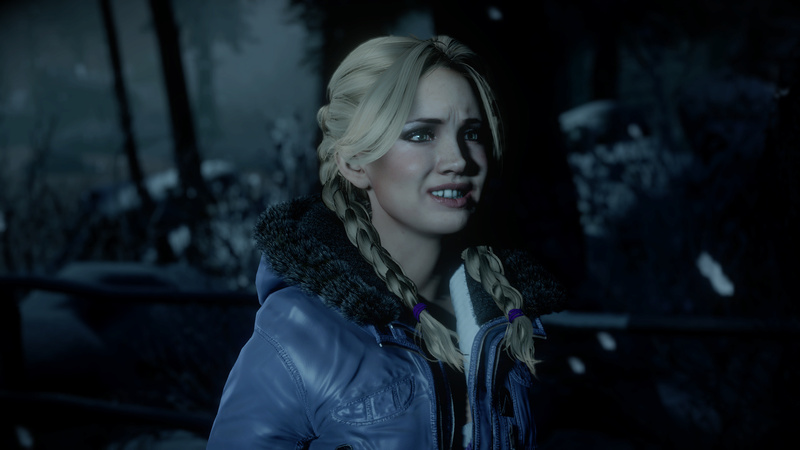 But I’d be satisfied with anything from the ‘Until Dawn’ universe! Excited for Man Of Medan too! @SwanPrincess83 I don't think The Inpatient was terrible, they had a good idea there. Just don't think it really came together. All these games in the pipeline,yet we still haven't got a firm release date for man of medan. Let's see if they can come up with something exciting. "Woah nellie, this place is givin' me the willies. And not the good kind of willies." It's all about context and translation I figure but maybe it's interesting them saying PlayStation instead of ps4 or PSVR.? I highly doubt it will more playlink and vr games, there is a reason they are going back to the original Until Dawn style, it is what they do best. Until Dawn 2 is coming baby. @AdamNovice They have only done one game so far in their format (The Inpatient was a different thing in my eyes). If each new setting and story is good/unique/interesting they can do a number of games before it get's stale. I don't think it was TellTales' formula that was their problem, but a lack of creative ideas and questionable creative directions. Sony, buy them! And Insomniac!